Our roofing company in Indianapolis has been providing top notch service for 30 years! 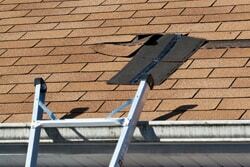 We specialize in roof repair, replacement and new installs. 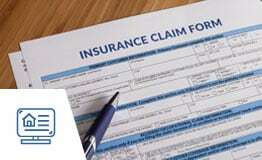 We also assist with the insurance claim if your roof has suffered from storm damage. 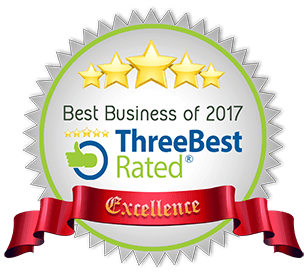 As a family owned and operated company, we take great pride in our dedication to provide outstanding roofing service to every customer that we serve. 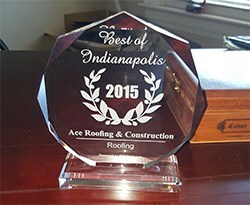 We have established a reputation as one of the leading roofers in Indianapolis and throughout Central Indiana. Call us today for a free estimate. We offer discounts to seniors and U.S. veterans. 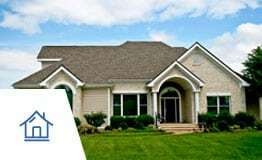 Whether you are looking to have your current roof repaired or a new roof installed, our technicians have the skill and experience to produce the superior results that you expect. Our local roofing company is comprised of three generations of professional roofers. Roofing is our trade, our tradition and our passion. As a local Indianapolis roofing company, we work with a wide range of materials on a variety of conventional and low-slope roofing systems: asphalt shingles, tiles, metal roofing, Flat Roofs and more. Asphalt Shingles are popular among home and business owners alike, because they provide outstanding protection and come in a wide range of colors and styles at an affordable price. Lifetime shingles by GAF are guaranteed to last for 50 years. And because of their design versatility, they are perfectly suited to complement any architectural style. Clay and Concrete Tiles are two of the most long-wearing, durable products available. They provide superior thermal resistance, and they are completely recyclable. Clay and concrete tiles are guaranteed to last for 50 to 75 years, but when properly maintained, they can provide solid performance for a full century or more. Metal Roofing systems are ideal for both residential and commercial properties. They are also one of the most eco-friendly materials because they are produced using high quantities of recycled material. And when they reach the end of their performance lives, they can be recycled again. Metal systems are highly reflective and can even help reduce urban temperatures by 12°, by reducing energy consumption and the workload of the local power grid. Flat Roof repairs on low-slope and flat systems requires both skill and patience. Unlike conventionally sloped systems, flat roof systems do not always provide obvious evidence of defects. 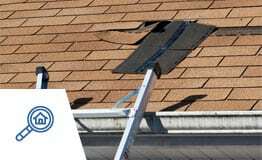 So locating trouble spots in a flat system often calls for the well-trained eyes of an experienced roofing professional. Storm damage, aging, poor installation and poor maintenance can all lead to issues with your surface that require help from a roofing service. 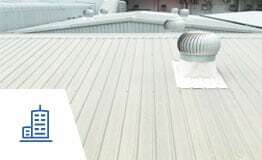 Each type of roof can experience different types of damages and will need unique methods to repair them. We will perform an inspection of your materials including your underlayment and decking to see how far the damage goes. If it effects over 25 percent of the surface, we may recommend full replacement. Call us today for a free estimate! We can replace your residential system for as little as $250.00 per square. We can replace your commercial system for $300.00 to $500.00 per square. Our company can completely transform the exterior appearance of your property using vinyl and Hardie Board siding. These materials provide stylish, long-wearing performance and will significantly increase the value of your home and its curb appeal. Vinyl and Hardie board siding eliminate the need for painting every 5 to 7 years which can help you save up to $28,000.00 over the course of 20 years. 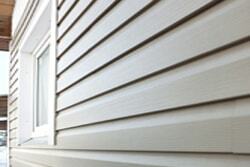 Insulated vinyl siding will increase your property’s energy efficiency and help reduce exterior noise by up to 50%. Hardie board installations are guaranteed to last for 50 years. They are impervious to water, non-combustible and insect resistant. If you have been considering siding to renovate your property, give us a call today. We will be happy to review all of the design and color options available. Your water diversion system is one of the most valuable components of your property. It protects the soil on your property from becoming waterlogged and helps maintain the stability of your building’s foundation. 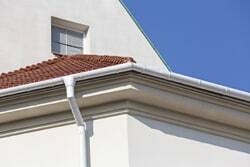 We install customized, seamless rain gutters for both residential and commercial property owners. We can also produce rain gutters for as little as $4.50 to $5.50 per linear foot. If your water diversion system has fallen into disrepair, give our team a call. We can create quality, seamless gutters in a variety of colors to match your property. Don’t fuss with the pain of insurance claims on your own -- trust it to our team of roofers who do it professionally on a daily basis. We’ll go to bat for you, and take care of the annoyance so you don’t have to! Moreover, we will work with you to ensure they get filed properly, and if you have more damaged property than just your roof, we’ll also help you include that on your claim so you get the maximum return with minimal efforts. 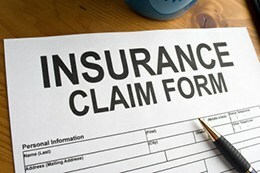 We work with all insurance companies and offer this service for free -- call us now! Another bonus to having us handle your insurance claim is we will ensure all damages to your home and other property go on a single claim, rather than having to deal with multiple claims. We’ve been doing this professionally for many years and know how to navigate the red tape to get you the compensation you deserve. Eligible for an insurance claim? 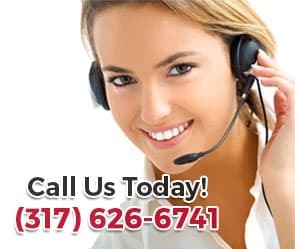 For the most reliable roofing company in Indianapolis, Carmel, Greenwood or any nearby area, call us! "Great company to work with. Had the job done in one day with no debris left over. Worked with us on style/color choices and even helped with the insurance paperwork. Hope I don't have to replace another roof, but I would hire these guys again if I do." "Working with Ace Roofing was very easy. They were responsive from the first phone call to the last detail. We had them remove a 100 year old slate roof and re-roof, along with all new gutters and gutter guards. Rodney is highly professional with much...."
"I just wanted to let you know that your team did an excellent job installing our new roof! The new roof looks fantastic on the house and I sincerely appreciate your willingness to help us out on such short notice. 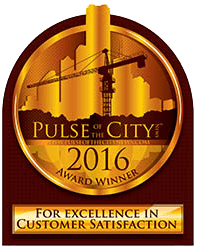 Your team not only did an excellent job...."